So, the fam asked for pancakes for dinner. I don’t mind making pancakes, but have you ever seen the number of pancakes that a table full of hungry kids can work their way through? It takes time to make pancakes for this bunch! 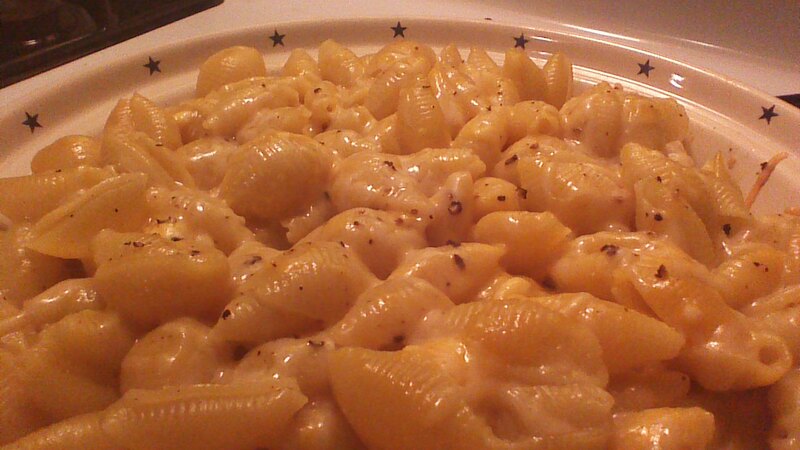 Mac ‘n Cheese is the ultimate Midwestern American comfort food. If you’ve been following Crowded Earth Kitchen for a while, you know that we have a big old foodie crush on Paris… but not even Paris does Mac ‘n Cheese as well as the American Midwest. We’ve been experimenting with recipes for Ultimate Mac ‘n Cheese for a while, working to create a recipe that just simply doesn’t need to be improved any further. This is it. Enjoy! Step 1) Pour chicken stock into a large saute pan and boil for 10 minutes or until reduced until only about 1/2 cup of liquid remains. Remove from heat and allow to cool for a few minutes. 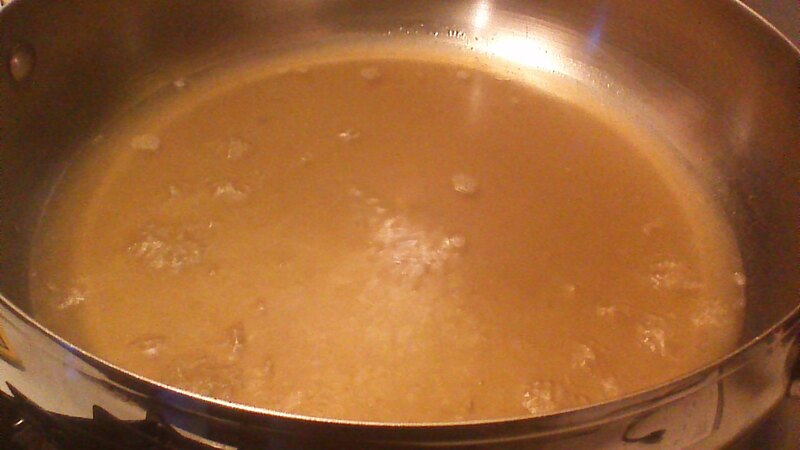 Step 2) Add shells or macaroni to a large pot of boiling water. Cook until al dente, or just a bit chewy – don’t overcook! Drain when al dente is reached. Step 3) While pasta is cooking, add mild cheddar, Monterey Jack, and sharp cheddar cheeses to the saute pan with the reduced chicken stock. Heat on a low setting, stirring constantly, until cheese is melted. 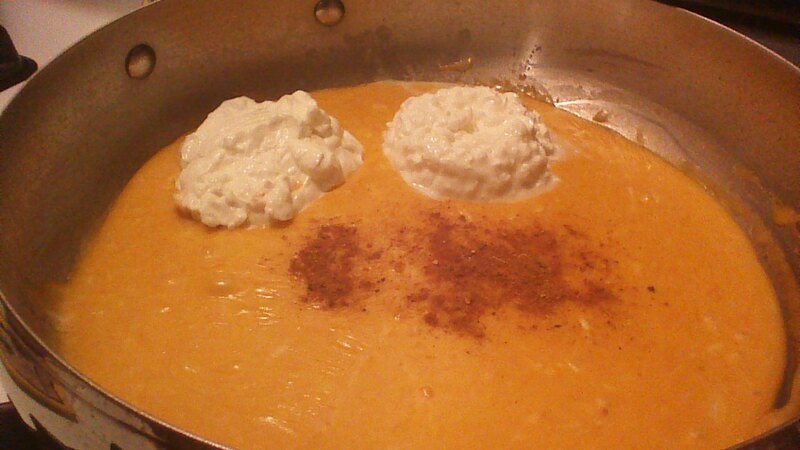 Step 4) After shells or macaroni are cooked and drained, add the cottage cheese, sour cream, and curry powder to the melted cheese mixture. Stir over low heat until thoroughly blended. Step 5) Combine the cooked, drained noodles and the cheese mixture. Stir until noodles are evenly coated, and transfer the mixture to a greased deep dish pie plate or casserole dish. Sprinkle with shredded Parmesan cheese and freshly ground black pepper. Step 6) Cover with foil and bake your Ultimate Mac ‘n Cheese in a preheated 325 degree oven for 30 minutes. Serve immediately with a fresh green salad.